A few important resources about Kenya’s Important Bird Areas. 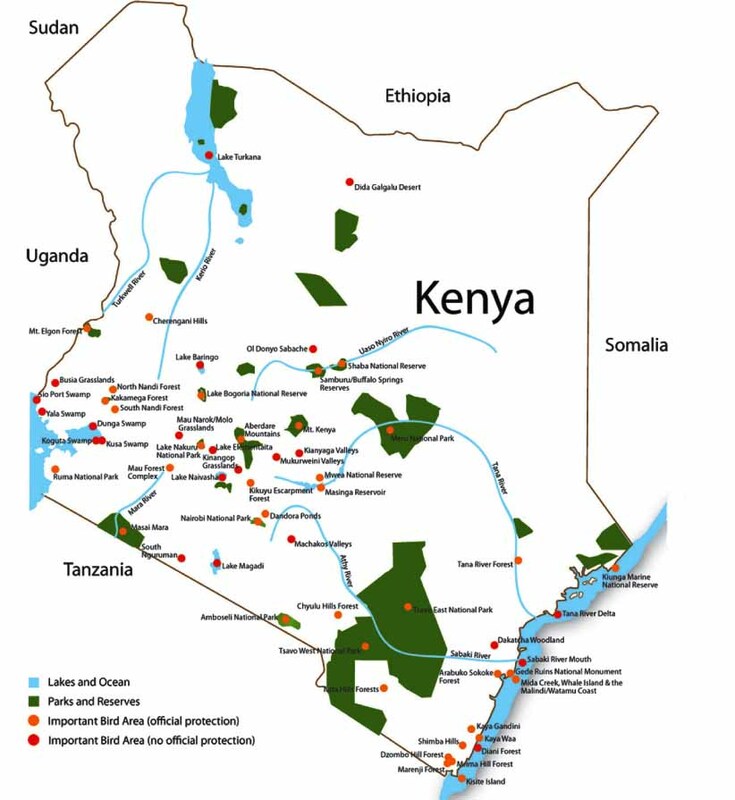 A fantastic map of Kenya’s Important Bird Areas from Nature Kenya. Also, from KenyaBirds, a listing table of the Important Bird Areas, Locations, Habitats, and threatened species. Coming up soon, a Bird of the Week with a song I recorded while birding recently. I recently stayed in Nandi Hills and also had a chance of visiting Lake Victoria (Kisumu). Found Nandi Hills excellent for bird watching and even staying in a tea farm gave me very good sites and worth doing any time.